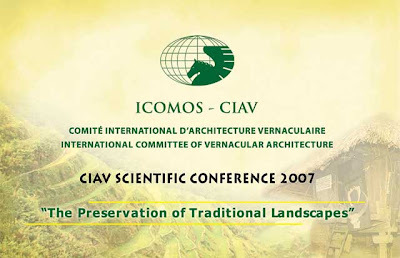 Thanks to everyone -- members, observers, organizers -- who made the ICOMOS-CIAV 2007 Meeting in Banaue a success. Please include the rice terraces of Laguna and Quezon in the list of endangered sites. According to Dr. Henry O. Beyer, the method of cultivation, building of ditches and irrigation are the same and believes that the people who built the rice terraces in the Mountain province and areas around the Laguna Lake and Quezon share the same origin.